With the aim of contributing to the debate about the agenda of the forthcoming Polish Presidency of the EU in the second half of 2011, in November 2010 Egmont organized an international expert seminar in Brussels with its sister institute from Warsaw, PISM – the Polish Institute of International Affairs,under the heading Crisis Management Operations: European Lessons Learned. The EU has undeniably become an important actor in the field of crisis management. In view of its expertise and its capabilities, the demand for CSDP operations, both civilian and military, can only be expected to increase. The EU is also reshaping its institutional architecture and its procedures for crisis management. 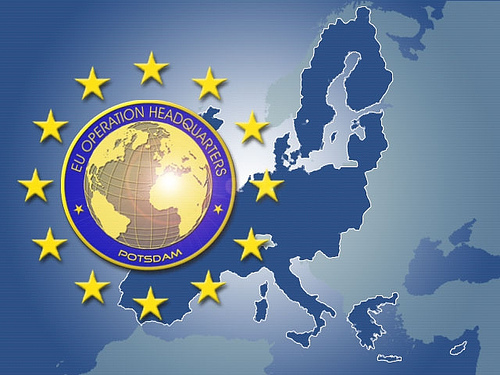 The establishment of the Crisis Management and Planning Directorate (CMPD) and its integration into the External Action Service (EAS) are determining for the future shape of EU crisis management. As this re-engineering of the CSDP machinery is in full swing, the moment is right to take stock of crisis management operations so far and identify lessons learned, in order to inform decisionmaking in the very near future. To that end, the seminar addressed three key dimensions of EU crisis management: The comprehensive approach: To which extent does the EU really implement a comprehensive or holistic approach both in theatre and at the Brussels level? Which conclusions can be drawn for the running of operations and for the training of relevant staff? – Command & control: How effective have command & control arrangements proved, in the various stages of mounting and running operations, at the various levels of the chain of command? – The Battlegroups: While they have so far never been deployed, as a rapid reaction capacity they do constitute an important part of the CSDP toolkit, of which the EU arguably could use more. How can the Battlegroups be adapted to current needs? In this Egmont Paper, the Institute publishes two very thought-provoking contributions about command & control, based on the presentations by the two academics who addressed the seminar on that topic.1 Dr. Luis Simón and Alexander Mattelaer focus respectively on the planning and the conduct of CSDP operations. Their creative thinking on these topics constitutes an important contribution to a debate which will feature prominently on the EU agenda in 2011. Egmont is very proud and happy to be able to publish the work of two such fine colleagues.